Over half a millennium ago, Christopher Columbus — an ambitious navigator native to Genoa, Italy — set sail for new horizons. Aboard the Niña, the Pinta, and the Santa María, his expedition went west for a months-long journey. 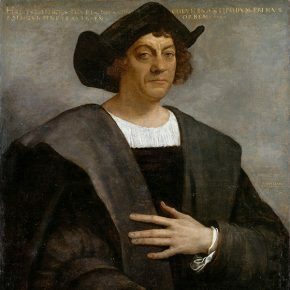 Though his first of four voyages across the Atlantic did not end at his desired destination of Asia, Columbus’s adventure reflected the insatiable thirst for exploration that continues to drive us as a people. 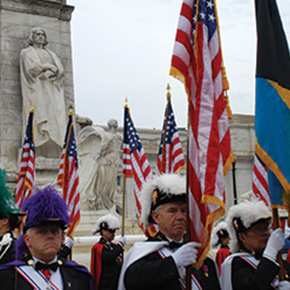 Columbus’s legacy is embodied in the spirit of our Nation. Determined and curious, the young explorer persevered after having been doubted by many of his potential patrons. Once opportunity struck, when Ferdinand II and Isabella I agreed to sponsor his trip, he seized the moment and pursued what he knew to be possible. 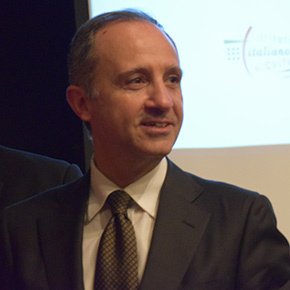 Columbus’s arrival in the New World inspired many and allowed for generations of Italians to follow — people whose Italian-American heritage contributes in immeasurable ways to making our country what it is, and who continue to help strengthen the friendship between the United States and Italy. Though these early travels expanded the realm of European exploration, to many they also marked a time that forever changed the world for the indigenous peoples of North America. Previously unseen disease, devastation, and violence were introduced to their lives — and as we pay tribute to the ways in which Columbus pursued ambitious goals — we also recognize the suffering inflicted upon Native Americans and we recommit to strengthening tribal sovereignty and maintaining our strong ties. In the years since Columbus’s time, the legacy of early explorers has carried on in the wide eyes of aspiring young dreamers and doers, eager to make their own journeys and to continue reaching for the unknown and unlocking new potential. NOW, THEREFORE, I, BARACK OBAMA, President of the United States of America, do hereby proclaim October 12, 2015, as Columbus Day. I call upon the people of the United States to observe this day with appropriate ceremonies and activities. I also direct that the flag of the United States be displayed on all public buildings on the appointed day in honor of our diverse history and all who have contributed to shaping this Nation. IN WITNESS WHEREOF, I have hereunto set my hand this ninth day of October, in the year of our Lord two thousand fifteen, and of the Independence of the United States of America the two hundred and fortieth.